It’s not all about the movies these days. Somebody at Disney must have calculated that a Cars film released roughly every five years should be enough to keep the characters alive for the public and maintain healthy sales of Cars-related merchandise. And for the first 15 minutes or so Cars 3 seems like a dash-for-the-cash affair. Then Disney does what they do best: they get viewers emotionally involved with the characters. The animation, of course, is wonderful—even more impressive than what we saw in the first two films, with backgrounds rendered so realistically they could pass for photos. But in the early going this 2017 follow-up to Cars (2006) and Cars 2 (2011) feels like just another version of what we’ve seen before. 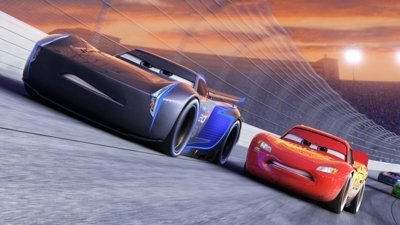 In the first Cars, audiences were introduced to Lightning McQueen (voiced by Owen Wilson), a hot-shot race car who found himself stranded in podunk Radiator Springs, where his attitude got a major adjustment and he learned that family and friends are just as important as wins. The second film was a love-it or hate-it affair—a spoof of spy films that found Lightning McQueen and his sidekick Mater (Larry the Cable Guy) going to Europe to compete in a World Grand Prix and getting involved in assassinations and international espionage. Cars dying? That’s not exactly what families signed up for. 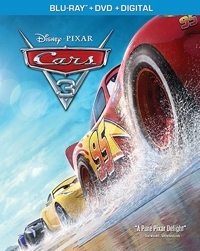 With Cars 3 the franchise circles back to what appealed to viewers in the first place—only this time it’s like Rocky, with McQueen training for a comeback and aiming to beat a new young hot-shot named Jackson Storm (Armie Hammer), who hit the circuit just as McQueen hit a wall so hard that everyone in racing pronounced him down for the count. 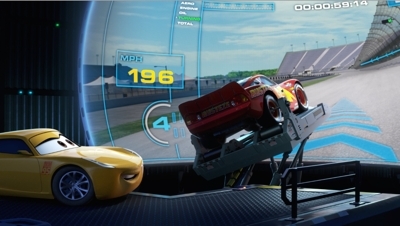 McQueen finds himself being “virtually” trained by Cruz Ramirez (Cristela Alonzo), whose own dream of becoming a race car was shattered by a glass ceiling in the business, where she was put down by the male racers. Her methods are unconventional and somehow smack of tofu-and-Birkenstocks aerobics, which provides a good deal of the comedy. But writers Brian Fee (who was a storyboard artist for Wall-E, Ratatouille, and Cars) and Ben Queen (Cars 2, TV’s Powerless) wisely chose to take the characters on the road, where they can learn about themselves and each other and viewers can start to care more than if everyone just kept driving in circles or staying in a Gold’s Gym for cars. This is Fee’s directorial debut, and it’s a solid one. Take away those first overly familiar 20 minutes and you’ve got Rocky for cars, a formula that he both follows and puts in his rear-view mirror. In the process, families get the kind of Cars they seem to prefer. 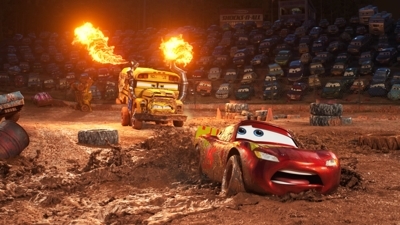 One highlight this outing is Disney’s spot-on rendition of a demolition derby and the raucous atmosphere and mud-spinning chaos of the figure-eight race. Here’s where we meet the movie’s most memorable character: Miss Fritter (Lea DeLaria), a converted school bus that now spouts fire and lays waste to every car in her path, and does so with jovial menace. One of the bonus features on this Blu-ray combo pack is a mini-movie featuring Miss Fritter, but there’s also a nifty primer on demolition derby and the rules of figure-eight, and “how Pixar puts the crazy in the Thunder Hollow Crazy 8 race.” There’s a nice bundle of bonus features here, but of course it’s the film that families care most about. And if you liked this original Cars, you’ll like this as well. Don Bluth forever will be known as a talented artist who left Disney to start an animation company that produced The Secret of NIMH, All Dogs Go to Heaven, and The Land Before Time in the ‘80s under his direction. But the studio’s titles in the first half of the ‘90s struggled to connect with viewers, and Rock-a-Doodle (1991), Thumbelina (1994), A Troll in Central Park (1994), and The Pebble and the Penguin (1994) all had disappointing box-office returns. 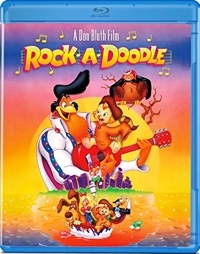 The problem with Rock-a-Doodle, as is so often the case with non-Disney animated features, is the concept itself—and that includes a live-action “frame” that seems gratuitous, even clunky. Bluth had been the animation supervisor on Disney’s Pete’s Dragon and obviously wanted to showcase his talents. But The Princess Bride-style frame about a boy reading a book doesn’t work because it’s introduced a little too late in the film and the whole parallel of the boy’s parents fighting a flood while he’s transformed into a cat who tries to bring a rooster back from the city to “save” the farm (and the parents’ farm) seems strained. Plus, the live-action simply doesn’t hold up as well as the animation. As for the rest of the premise, it certainly had promise, as a rollicking opening sequence and song prove. 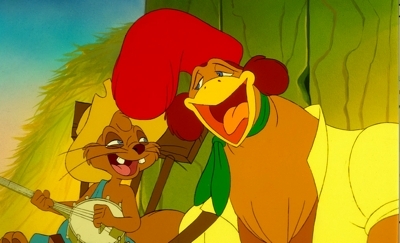 The rooster Chanticleer (Glen Campbell) is the strutting king of the barnyard whose singing wakes up the sun every day. That story and opening musical number have all the charm that fables usually provide, and had Bluth stayed with a simpler fabulistic fabric he might have had something. Instead, he offers a villain whose motives and actions are just a little fuzzy. 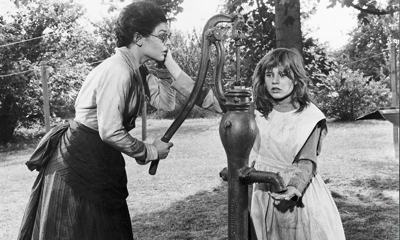 I saw The Miracle Worker in the theater when it was first released in 1962, and it affected me deeply. Patty Duke, who played young Helen Keller in the film, was close to my age, so naturally I pictured myself going through a similar struggle. I didn’t identify with her, but I put myself in her place. These days, I don’t get the sense that young people do that as much. It’s more about interest or entertainment, and older films like this have a few strikes against them. For one thing, The Miracle Worker is in black and white, and as terrific as it looks on Blu-ray, a generation born into color often has a hard time with anything other than eye-popping visuals. For another thing, drama in the ‘50s and early ‘60s was really melodrama, and the long lingering close-ups with dramatic music may seem a little soapy to contemporary audiences. And while indie films may still employ long takes, the average mainstream film has been edited to fit the shorter attention spans that seem to have evolved. 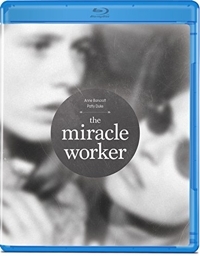 So when a nine-minute scene shows “miracle worker” Annie Sullivan (Anne Bancroft) physically wrestling with a blind child who has never been disciplined in her life, it could seem like an eternity to younger viewers. My daughter says she already saw the film in school, so teachers see value in it, and this is a pivotal scene. 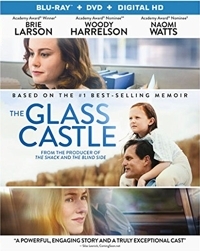 It’s intense, and shows why Bancroft won the Oscar for Best Actress and Duke won for Best Supporting Actress. Southern writer Flannery O’Connor once remarked, “Anybody who has survived his childhood has enough information about life to last him the rest of his days.” That’s certainly true of journalist Jeannette Walls, whose memoir, The Glass Castle, describes the nomadic, hardscrabble existence she and her siblings lived as they were raised by free-spirited parents without a steady source of income. 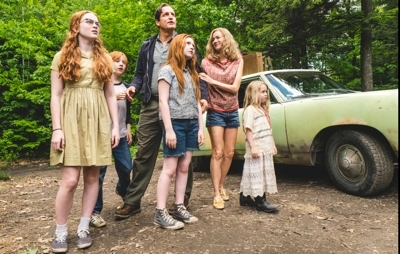 The book and this 2017 film revolve around her eccentric father, Rex (Woody Harrelson), a smart, off-the-grid kind of guy who’s described in the book as someone who, in all likelihood, was suffering from bipolar disorder. He’s an alcoholic, but not the textbook mean drunk who routinely abuses his family. He’s a loving father who can enthrall his children and uplift them, but who can also be cruel in his parenting and thoughtless about the way his actions impact those closest to him. In other words, he’s complicated. So is his wife (Naomi Watts), an artist who can’t be bothered to cook dinner for her children and tells Jeannette to do it—only to have her dress catch fire, scarring her for life. In one of the best making-of features I’ve seen in recent years, the real Walls family appears with cast and crew, and it’s remarkable how happy they all are and how fondly they remember their spontaneous but spontaneously combustible childhood. “I completely believe that even the worst experience has a valuable gift wrapped inside if you’re willing to receive that gift, Walls says. “But if you’re running from your past, then you’re going to lose the blessings that come with those hardships.” That statement alone lets you know that there is a richness of experience to be found here, and lessons to be learned. 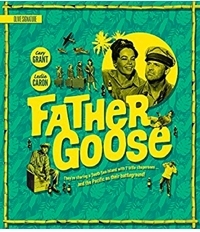 As I wrote when Olive released a no-frills Blu-ray of this title in 2014, Father Goose is one of those rare films that appeals not only to lovers of the genre—in this case, romantic comedy—but others as well. There’s humor and WWII adventure in this amiable 1964 film, which will make it appealing to boys in the family. The girls, meanwhile, will be won over by the seven schoolgirls of varying ages that are rescued by a reluctant (and still very funny and attractive in his second-to-last film) Cary Grant. 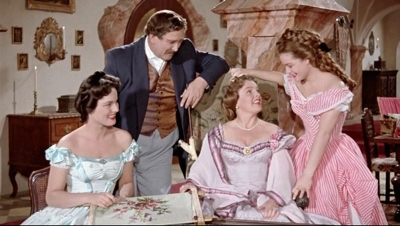 Much of the humor is based on the contrast between Grant’s scruffy character and “proper” behavior, with the girls as engaging as any child actors I’ve seen. Grant plays teacher-turned-beachcomber Walter Eckland, who dropped out of the world and in return just wants the world to leave him alone. 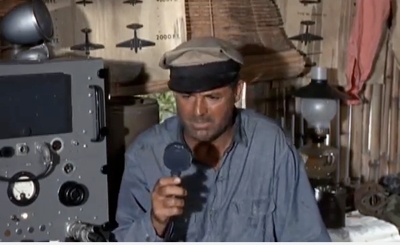 Though war in the Pacific is raging all around him, he’s determined to be neutral and uninvolved. We first meet him when he turns up at British-Australian naval base that’s under fire, and, bothered more by a pelican that keeps hitching a ride on the boat he recently bought than by shells exploding all around him, he proceeds to try to “borrow” cans of gasoline and rations. Walter never gets drunk, and his drinking is played for laughs, so most parents won’t find it objectionable. 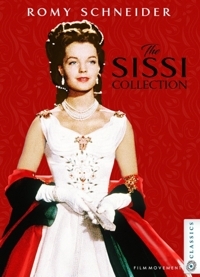 After all, there is a war on, and when Walter ends up rescuing a pretty young teacher (Leslie Caron) and her charges, she immediately sets about trying to reform him. He may be gruff, but he’s still a likable fellow that the girls find as appealing as their teacher does. Sparks eventually fly, and the action intensifies, and in no time at all you’re rooting for this pair of opposites to come together in spite of all that’s happening in the world around them.